Then she made...: Shimmer, Shiny! It seems my CLAY PENDANTS are gaining new life. 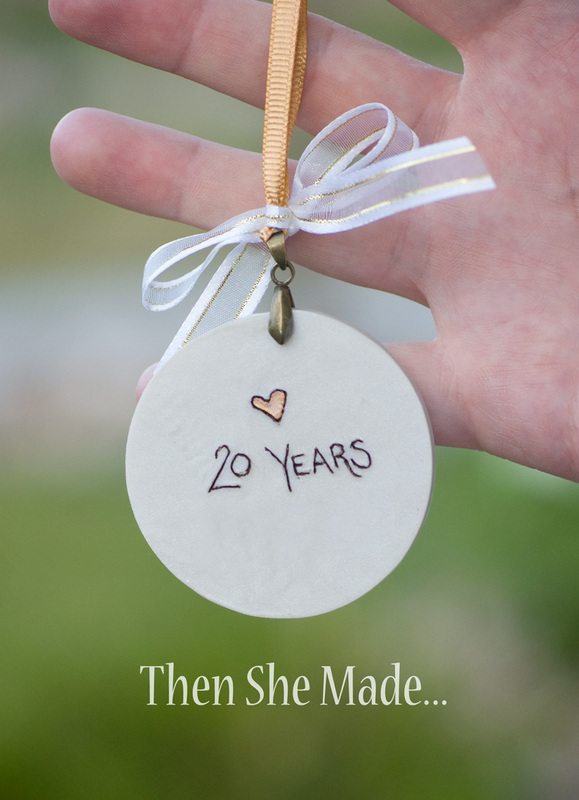 Even though my original post is over two years old, there has been lots of Pinterest pinning going on and I've had some questions emailed in about them, too. Because of this I thought I'd show you all a quick little twist and something else that is fun to do with them. Polymer clay is really fun to work with because you can finish it in a lot of different ways. I love, love, love Lumiere. 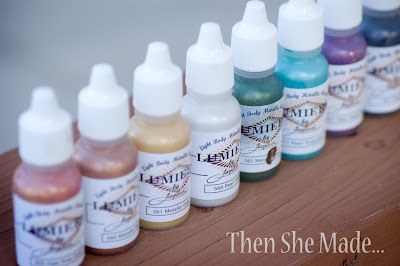 It's a metallic acrylic paint that is super easy to use. 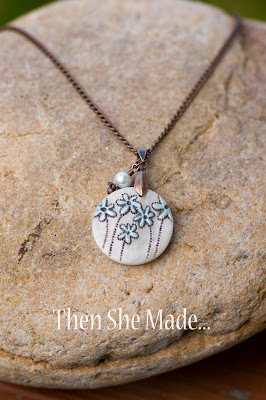 In the photo above I have a clay pendant that I stamped, baked, and painted with the brown paint. I then wiped off the brown paint everywhere but leaving it in the grooves of the design. 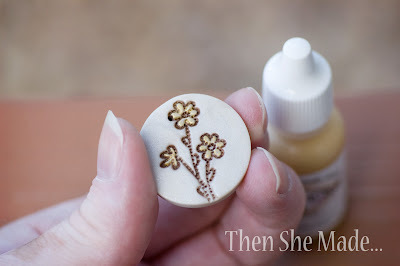 (if you want more info, you can read up on the original tutorial here: http://www.thenshemade.com/2011/08/word-pendant-tutorial.html) Then I took a little drop of gold Lumiere and just painted it on the petals of the flower. I really don't think the photo does it justice but the Lumiere has a really great shimmer, shiny finish to it that is awesome! And, once you get the varnish on it, it looks even better. Here's a finished pendant I did with some little blue Forget-me-not flowers. 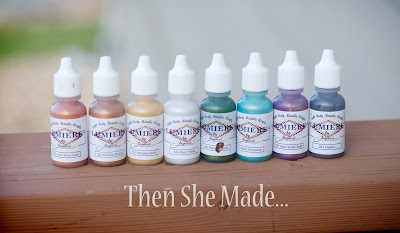 And, as you know, I just celebrated a special day with my Mr. K so I made some Christmas ornaments and I used the paint to add a little grey shimmer - just a really light coat - to the temples and then some gold to the tops. Love them! It's just the right touch to dress them up. So there you go. 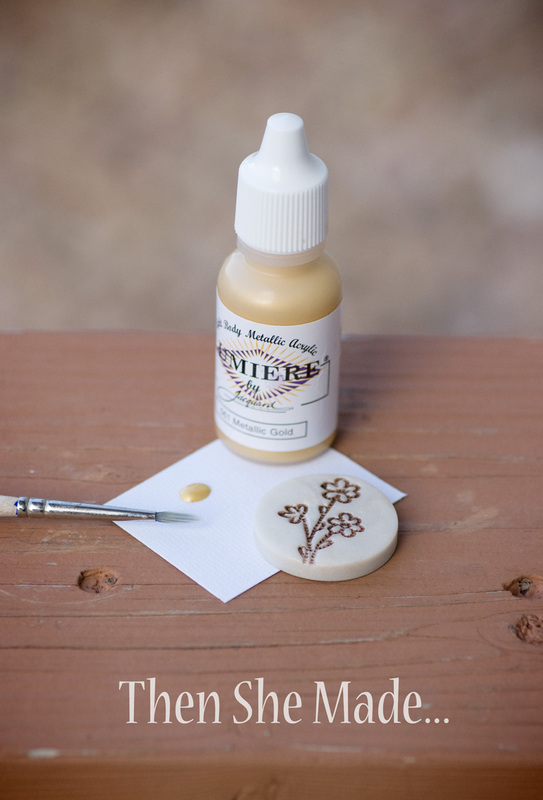 If you've tried your hand at the clay pendants using the color clay, now you can try them in white and add some shimmer, shiny of your own. * This was not a sponsored post - just a fun product to use if you like to play with clay. Can you tell me where you got your images of the temple. I would love to do these for our Young Women. Joy, I don't have a stamp. I've been looking for one for forever but haven't had any luck. I'm hoping one day I will find one so I don't have to do them by hand. Any tips for doing these temple ornaments? 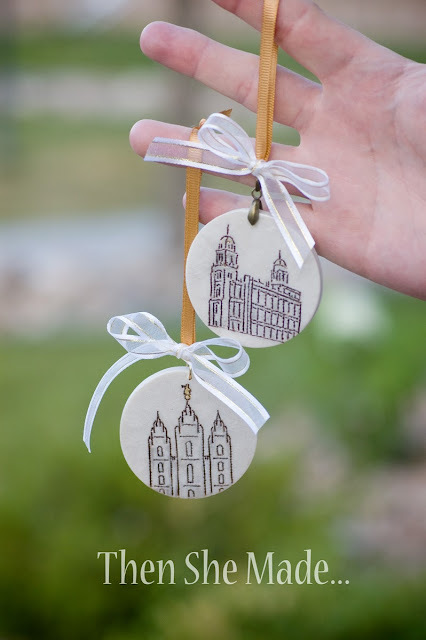 I would like to make some with the Gilbert Temple on them since it was dedicated this year. Would you recommend using a stencil of some kind, or is freehand the best way? Hi Melody, if you can find a stamp or stencil then I would do that. Otherwise it's freehand.